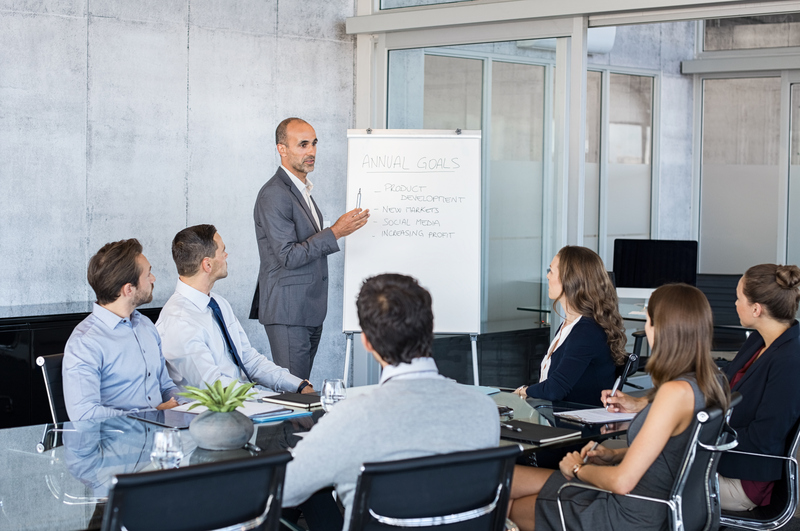 Your success as a leader is increasingly dependent on your ability to influence peers and employees outside of your direct reporting lines. While this has always been an important leadership skill, it’s more important than ever as organizations become increasingly matrixed, and decisions increasingly decentralized. To get work done today, leaders must effectively influence without formal authority. This can be hard to do well, and it is not something that comes naturally to every leader. The good news is that there are learnable strategies you can deploy as a leader to influence more effectively. And it starts by understanding the different types of power at your disposal as a leader and when to use them. What is Power and How is it Frequently Used in the Workplace? Dr. James Baron, professor of management at Yale, and faculty in ExecOnline’s “Leading and Managing Globally” program offered through Yale School of Management and IMD defines five types of power leaders have at their disposal – legitimate, reward, coercive, referent and expert. Legitimate power, which arises from an agreement that one party has a right to influence another, is most commonly found in manager-employee relationships. However, referent power, which arises from charisma and and personal qualities that draw in others, and expert power, which arises from knowledge and expertise that others need, are used more often by those without formal authority. Rewards and coercion (“carrots” and “sticks”), when used properly, are also important sources of power used by leaders to exert influence. Are you more comfortable using some sources of power than others? Why? How effective are you at using different types of power? Are you under- or over-using any sources of power? One of the swiftest ways to ensure that people will not follow you as an informal authority figure is to be an ego-driven leader. People don’t want to work with leaders who are demanding of attention, hog the center stage and take all of the credit for themselves. At the same time, it’s important to avoid being overly solicitous of approval. If you are constantly seeking peer’s approval, they will not view you as someone worthy of their respect or time. The key is to establish credibility by demonstrating confidence and competence. Some of the most influential leaders are the ones whose enthusiasm for the job and work is contagious. A leader’s natural energy and enthusiasm is one of the most powerful forms of referent power mentioned earlier. To exude this enthusiasm, find something about the work or current project you genuinely feel excited about. The lesson, however, is not to manufacture enthusiasm for a project or initiative where it doesn’t exist. Employees and peers can quickly sense inauthentic displays of enthusiasm. Instead, the key is to find the facets or elements of the work or initiative that give you energy and enthusiasm and to convey those. To learn more about how to influence without having formal authority, check out our program Leading & Managing Globally with Yale and IMD.